DSLWP is a lunar formation flying mission for low frequency (1-30 MHz) radio astronomy, amateur radio and education, consists of 2 microsatellites. 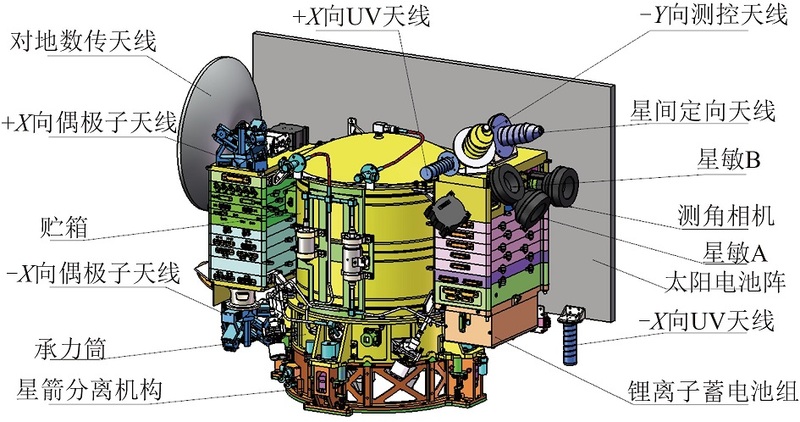 As a part of the Chang’e 4 mission, the satellites will be launched into a lunar elliptical orbit in 2018. The amateur radio station onboard DSLWP-A1 will provide telecommand uplink and telemetry / digital image downlink. An open telecommand is also designed to allow amateurs to send commands to take and download an image. They have a volume of about 50x50x40 cm3 and a mass of about 45 kg. Proposing A1 downlinks on 435.425 MHz and 436.425 MHz and A2 downlinks on 435.400 MHz and 436.400 MHz. – Two transceivers for redundancy. – Two linear-polarization shortened dual-band antennas mounted in 90 degrees to optimum coverage. – FSK-type transmitter for better PA efficiency. 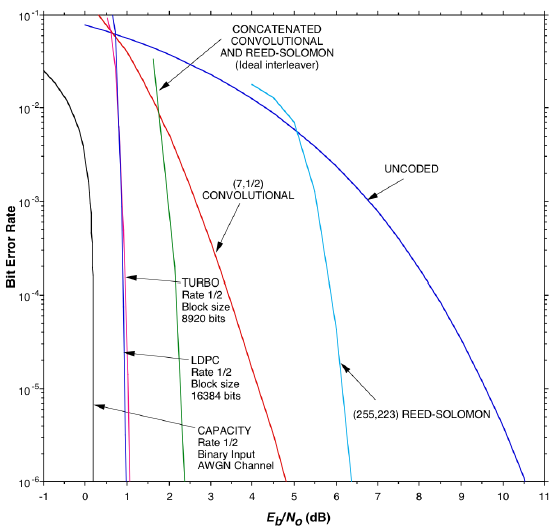 Output power: 35 dBm (max), 33/30 dBm (norm). – Qualification model hardware almost finished. Little chance to make hardware modification. – UHF for lower background noise than VHF (at least in many cities of China). – Two transmitters operate at different frequency, and same time for delta-DOR if possible. 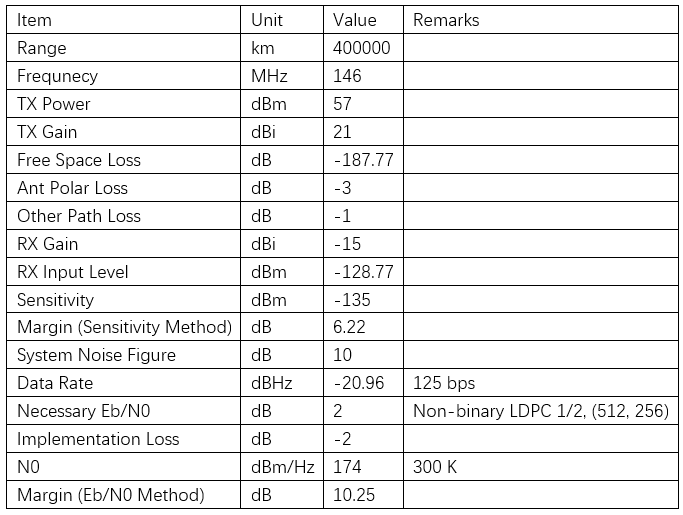 – Telemetry: GMSK modulation, modulation rate no less than 250 bps, data rate no less than 100 bps. 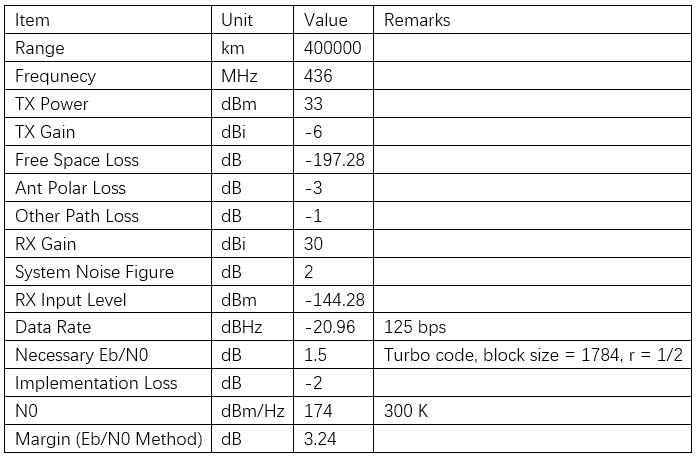 Similar theoretical Eb/N0 performance with QPSK using coherent receiver. 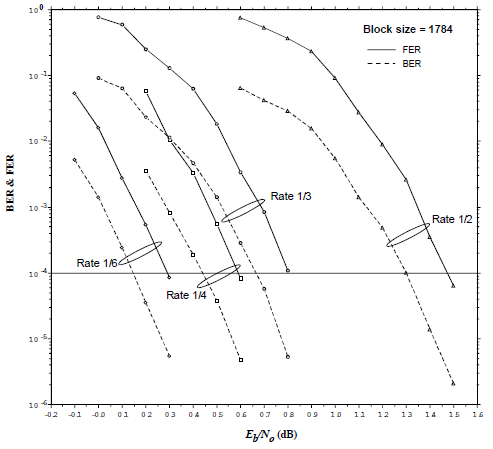 – Telemetry channel coding: use concatenated code as a baseline and turbo code, block size = 1784, r = 1/2, 1/3, 1/4 or 1/6 as a more preferred solution. 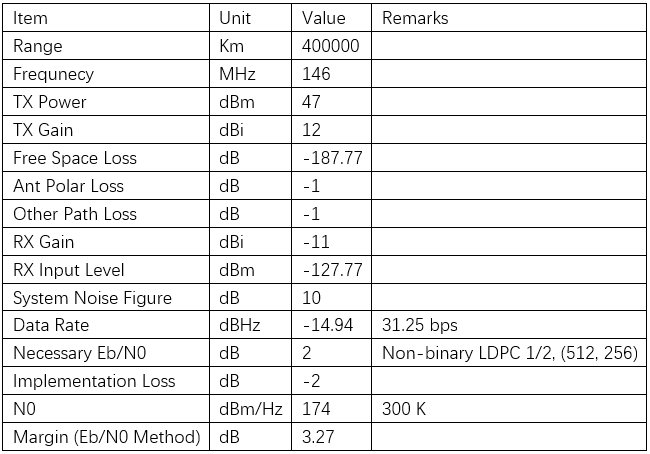 Figures from CCSDS for channel coding method comparing. – Two receivers operate at the same frequency. – For channel coding, use concatenated code as a baseline and non-binary LDPC 1/2, (512, 256) as a more preferred solution. 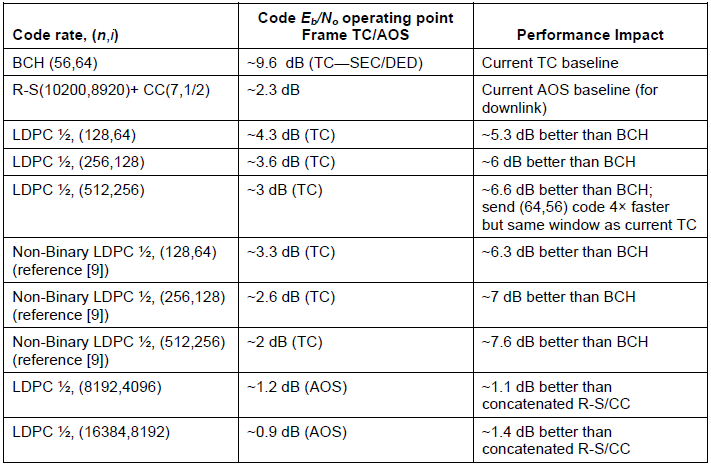 Figure from CCSDS for channel coding method comparing. – Date rate 31.25 bps or lower for open interface uplink. – If more than 100W is needed for uplink, a constant-envelope modulation system is preferred for use with class C amplifiers. – JPEG-SSDV for downlink image coding. 1. 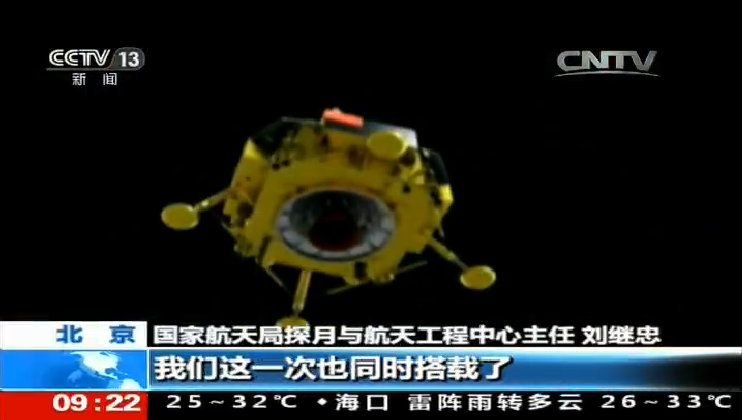 Will the two microsatellites be separate from the comms repeater satellite in the L2 position that the Chang’e 4 lander needs while on the far side of the Moon? 2. 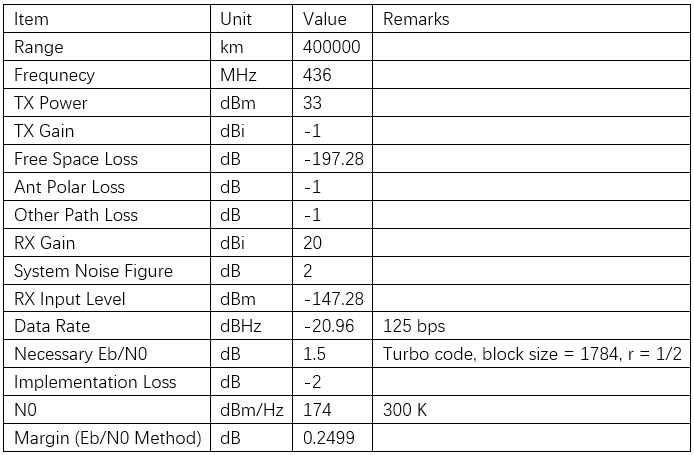 What is your estimate of the background noise for the LF radioastronomy? 3. Will the elliptical orbits go around the Moon and therefore be temporarily beyond Earth’s radio line-of-sight? If so, can the microsatellites mutually support each other as comms repeaters? 4. Can the images be of the Moon and/or stars? 5.Can there be other functions for amateurs, eg comms relays? 1. 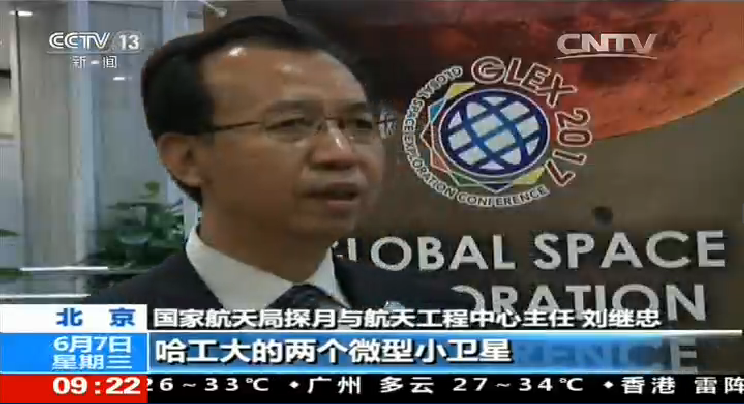 The micro-satellites will separated with the rocket near earth. They don’t have a direct interface with the relay satellites. 2. We expect ~1e-18 W m^-2 Hz^-1 for galaxy background and ~1e-14 W m^-2 Hz^-1 during solar burst. 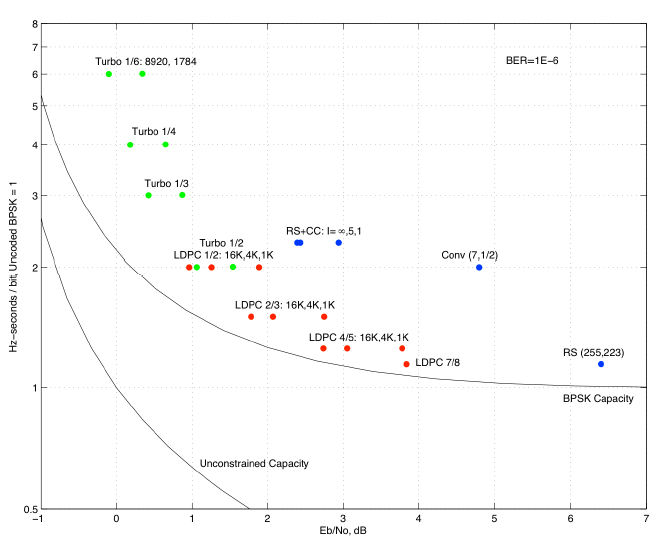 So a dynamic range of more than 60 dB is needed. 3. Yes the moon may shadow the micro-satellites from the earth. The micro-satellites can communicate with each other, but mainly they will communicate directly with earth indepently. 4. The images may be anything the camera get! 5. Maybe also a non-realtime digital audio repeater using Codec2. We are working with VK5DGR for that. We also have a mail list for this mission: https://groups.google.com/forum/#!forum/dslwp You are welcomed to join if you have interest.